Happy April everyone! This month I think I am going to be reading a lot. I am not sure if it is because I read so much in March, but I just have a good feeling about April. This month I am buddy reading two different books, one a non-fiction and the other a thriller. I am also finishing up a non-fiction and a starting a fantasy series. I also am taking part in the Magical Readathon: OWLs Exams. I made a separate TBR a few days ago and explained the readathon a little bit as well. You can find that here: TBR | Magical Readathon OWLs Exams. This month I will finish reading The Wicked Boy with Amy from Tomes with Tea, Regina from Bookish in Bed and Jenna from J.K. I’m Exploring! Early in the morning of Monday 8 July 1895, thirteen-year-old Robert Coombes and his twelve-year-old brother Nattie set out from their small, yellow-brick terraced house in East London to watch a cricket match at Lord’s. Their father had gone to sea the previous Friday, the boys told their neighbours, and their mother was visiting her family in Liverpool. Over the next ten days Robert and Nattie spent extravagantly, pawning their parents’ valuables to fund trips to the theatre and the seaside. But as the sun beat down on the Coombes house, a strange smell began to emanate from the building. 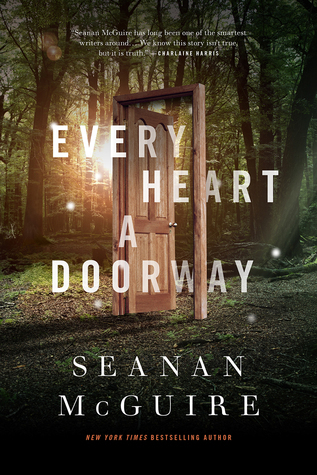 When the police were finally called to investigate, the discovery they made sent the press into a frenzy of horror and alarm, and Robert and Nattie were swept up in a criminal trial that echoed the outrageous plots of the ‘penny dreadful’ novels that Robert loved to read. 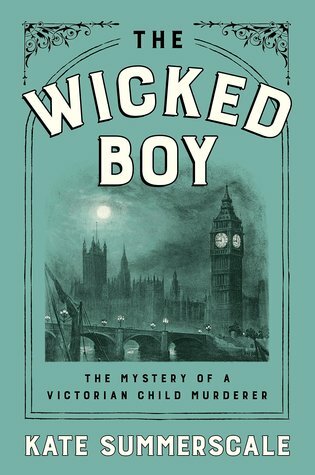 In The Wicked Boy, Kate Summerscale has uncovered a fascinating true story of murder and morality – it is not just a meticulous examination of a shocking Victorian case, but also a compelling account of its aftermath, and of man’s capacity to overcome the past. This is another buddy read with Amy from Tomes with Tea, Regina from Bookish in Bed and Jenna from J.K. I’m Exploring. What can I say, we love reading and discussing books with one another? I have been interested in starting this series for a long time now and I think it is finally time. I have heard awesome things about this series and what I love most is that these books are so short. They are a great break in-between the larger books I read. I started this non-fiction account of Eleanor Roosevelt last month and I would like to finish it this month. 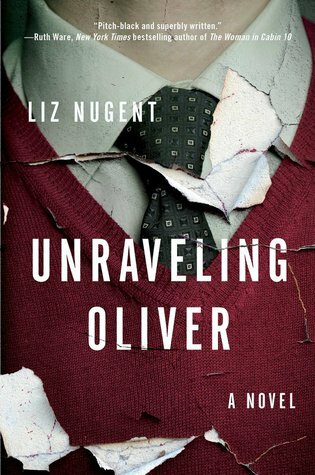 This is the second book in a trilogy written by Cook, I am hoping it lives up to the first one. Fingers crossed! Historians, politicians, feminists, critics, and reviewers everywhere have praised Blanche Wiesen Cook’s monumental Eleanor Roosevelt as the definitive portrait of this towering female figure of the twentieth century. Now in her long-awaited, majestic second volume, Cook takes readers through the tumultuous era of the Great Depression, the New Deal, and the gathering storms of World War II, the years of the Roosevelts’ greatest challenges and finest achievements. 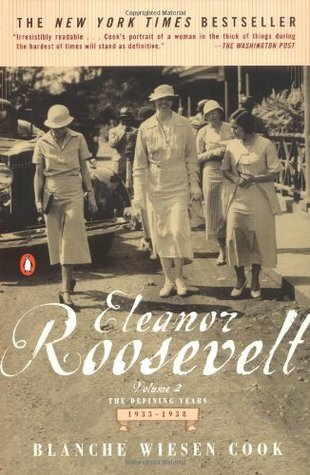 In her remarkably engaging narrative, Cook gives us the complete Eleanor Rooseveltâ€” an adventurous, romantic woman, a devoted wife and mother, and a visionary policymaker and social activist who often took unpopular stands, counter to her husband’s policies, especially on issues such as racial justice and women’s rights. A biography of scholarship and daring, it is a book for all readers of American history. I’m reading Someday, Somewhere by Lindsey Champion, another eARC book I haven’t started yet, just finished Reflection by Elizabeth Kim yesterday… want to read The Cruel Prince by Holly Black… I actually have a post on April reads as well. Wow, you have a lot of reading to do. I think belonging to Ravenpuff sounds like a good compromise. Your current reads sound interesting! I haven’t heard of The Wicked Boy but I do love crime fiction. And one during the Victorian times? Sounds very intriguing! I really enjoy it, but I will admit it gives a lot of background on the time period. So it may not be for everyone. I find the story fascinating. I pretty much is when you read a book with a buddy. So you can read the same book with one or more people. Then just discuss and fangirl if appropriate together. Sometimes it is the entire book or it is broken into sections. It is very relaxed as well. I hope that helps?